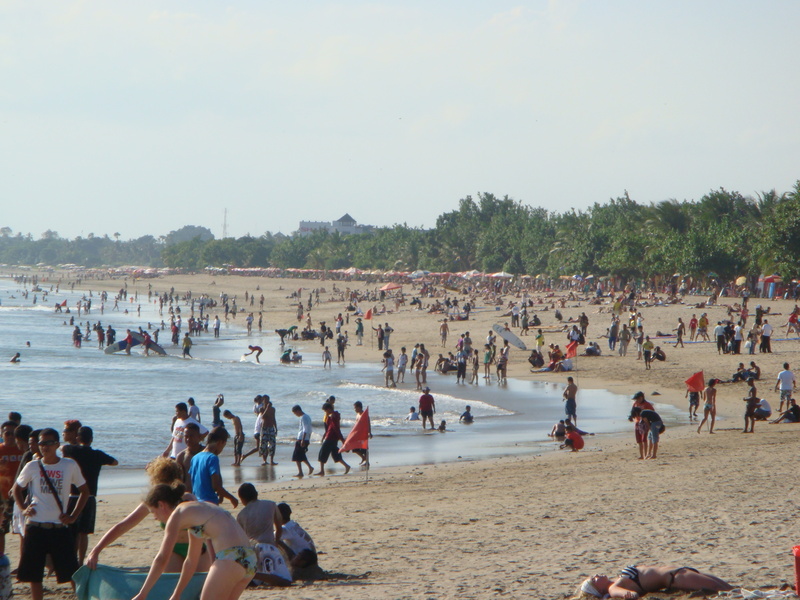 Kuta beach in Bali, Indonesia, is extremely touristy and crowded. 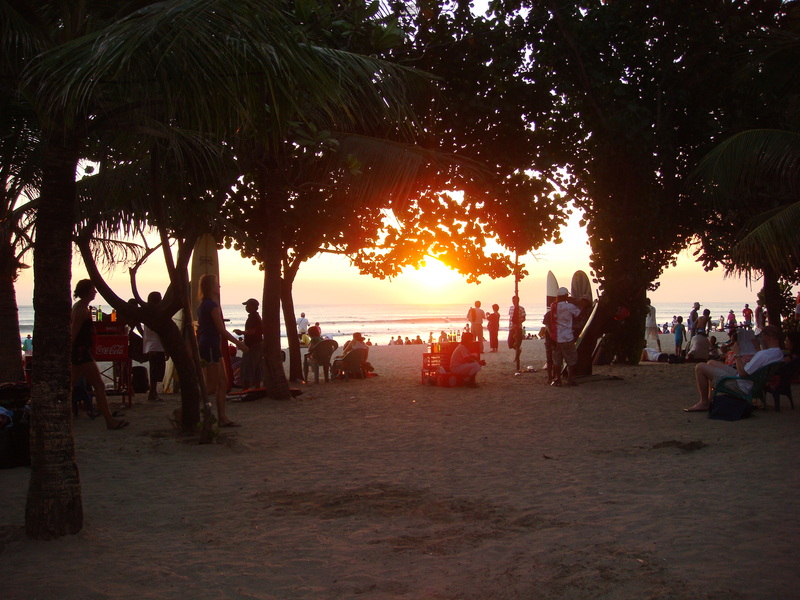 The beach is teeming with locals and tourists, who are relaxing on the beach or most likely surfing. 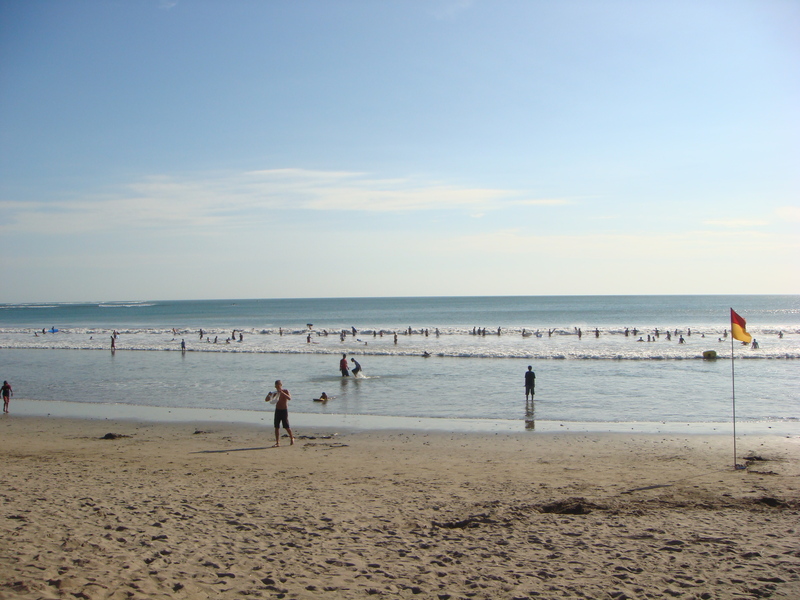 When we arrived at Kuta beach, we immediately decided to take a surfing lesson. Our surfing instructor taught us the basics of surfing and handed us both a surfboard. So, with my surfboard in hand, I walked into the water not knowing how this experience would turn out. I had no idea if I would like surfing, but I had to try. I was in the water for an hour, before I decided I was done with surfing. Let me say it loud and clear, surfing is hard, extremely hard. It was exhausting for me to even stand on my surfboard in order to ride the waves. At one point, the wave, which was at least a 1.5 meters high, totally took me under. For a short moment, which actually felt really long and slow to me, I was struggling to surface after being hit by my surfboard in the head. It was scary. Instead of feeling frustrated with trying to surf, I decided to exchange my surfboard for a bodyboard. In no time, I was riding the waves and having an awesome time. It was so much easier and a lot more fun with the bodyboard. From this experience, I learned that surfing isn’t for me. However, I do still have a deep appreciation and admiration for all those surfers, who can ride the waves so gracefully. I am not an early bird, I like sleeping. If I have to get up before sunrise, there definitely better be a good reason. Getting up before sunrise to watch dolphins swim in the sea, that definitely makes the list. 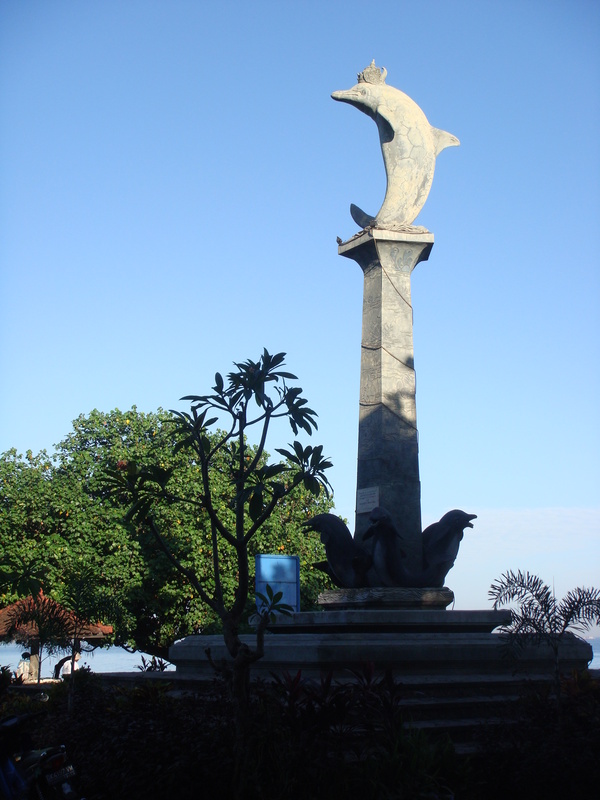 Lovina beach, which is located in the northern part of Bali, Indonesia, is an excellent place for dolphin watching. When we went on the tour, we managed to see at least 10 to 20 dolphins. I have seen a few dolphins in aquariums and at Marineland in Canada. I have always felt uncomfortable seeing these animals confined to such small place spaces, when their natural habitat should be the vast oceans. Thus, it was a delight to see schools of dolphins swimming and jumping together with great freedom in the sea. The number of dolphins a tourist might encounter while doing a dolphin watching tour, will obviously vary depending on the day and your luck. 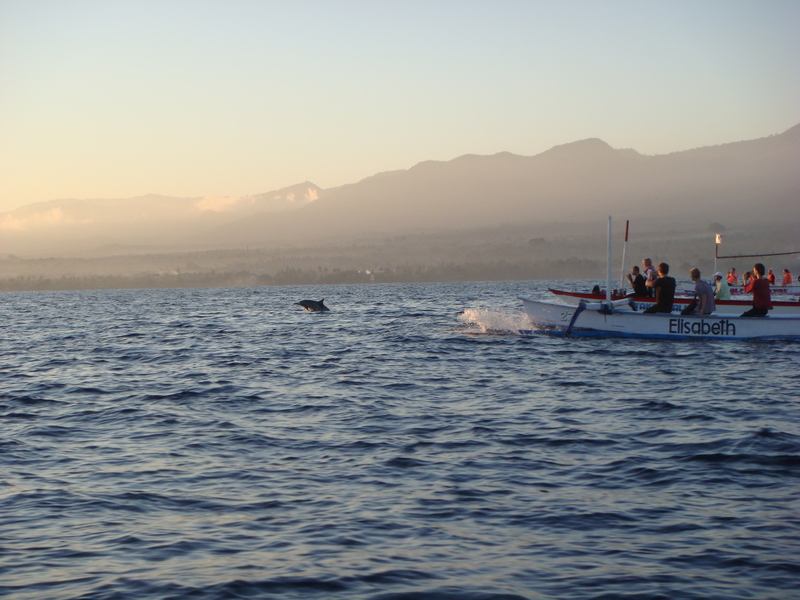 We were fortunate enough to spot several dolphins and thus felt extremely lucky. Watch this video and see the dolphins for yourself too!